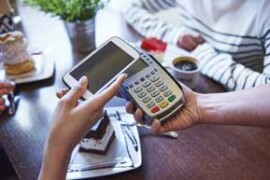 Entries tagged with "contactless payments"
The Swiss National Bank has revealed the latest banknote denomination from its Ninth banknote series, the high value 1,000-franc, which will begin circulating on 13 March 2019. The Swiss 1,000-franc is the fifth of six denominations to be issued from the new series. The 50-franc began circulating in 2016 followed by the 10 and 20-franc in 2017 and the 200-franc in 2018. The design inspiration of the Ninth banknote series is 'The many facets of Switzerland', with each denomination focussing on a typically Swiss characteristic. The design of the 1,000-franc focuses on Switzerland's 'communicative flair' and includes a key motif to express language throughout the design. As with all the denominations of the Ninth banknote series, the 1,000-franc note includes core design elements of a hand and globe on the front of the note. 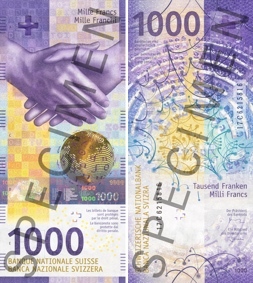 The 1,000-franc denomination continues to use a predominantly purple colour scheme but is slightly smaller in size and, says the Swiss National Bank, is therefore easier to handle compared with the previous 1,000-franc banknote. As with all the denominations of the series, the banknote is printed on Landqart's Durasafe® three-layer substrate. Security features include Kurz's KINEGRAM® Volume holographic foil, SICPA's SPARK® optically variable ink and Landqart's Thrusafe™ and Viewsafe™ clear windows. 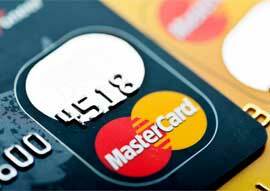 The note also includes a tactile feature to aid those with visual impairments to identiy the note's denomination. The 1,000-franc denomination is one of the highest value banknotes in the world, worth around US $995. The final denomination of the Ninth banknote series is the 100-franc, which will be presented on 3 September 2019 and will begin circulating shortly after. Read the press release from the Swiss National Bank (SNB). View all the denominations of the Ninth banknote series at the SNB website. New polymer banknotes have been issued today by Northern Ireland's three issuing banks, Ulster Bank, Bank of Ireland and Danske Bank. New £10 polymer banknotes have been issued by Northern Ireland's Ulster Bank, Danske Bank and the Bank of Ireland today, with additional £5 notes issued by Ulster Bank and Bank of Ireland. It is the first time that the Northern Ireland banks have issued circulating banknotes on polymer, following the lead of the Bank of England which is currently in the process of issuing its polymer banknote series. 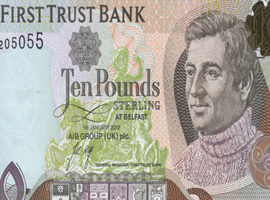 All of the Northern Ireland banknotes have been printed by De La Rue on its Safeguard® polymer substrate. 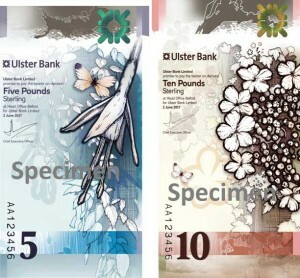 The Ulster Bank banknotes have been designed vertically, a first for UK and Northern Ireland banknotes. The design of the notes are based on the theme “living in nature”. The £5 banknote features illustrations of Strangford Lough and Brent Geese, while the £10 version shows Lough Erne, an Irish hare and Guelder-rose shrubs. 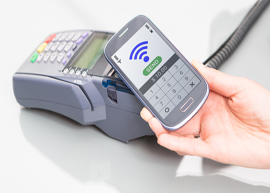 Security features include a clear window and an optically variable ink feature, reportedly De La Rue's SPARK® Orbital™ feature. Images courtesy of Ulster Bank. 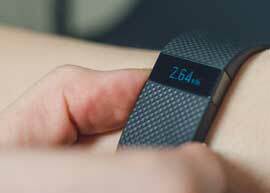 [caption id="attachment_8632" align="aligncenter" width="779"] Images courtesy of Danske Bank. [/caption] The design of the new £10 banknote from Danske Bank is similar to the current paper version. It keeps a predominantly green colour scheme and portraits of John Dunlop, inventor of the well known pressurised tyre, shown on the front of the note and the pediment sculpture of Belfast City Hall on the reverse. Several polymer specific features have been included including a clear window and optically variable ink, thought to be De La Rue’s SPARK® Orbital™ optically variable ink feature. It also includes a series of raised dots designed to assist those with visual impairments to identify the note’s denomination. The Central Bank of Uzbekistan has issued another new high value banknote denomination, the third high value denomination to be added to the banknote series since 2017. The 100,000-som banknote was issued yesterday, the 25 February 2019. Read the press release (Language: Uzbek) from the Central Bank of the Republic of Uzbekistan. The Reserve Bank of Australia has revealed the design of its Next Generation $20 banknote, which will begin circulating in October 2019.
a tactile feature consisting of three raised dots located at the top long edge of the banknote, enabling those with visual impairments to identify the note's denomination. The following denomination of the Next Generation Banknote Series to be issued is the $100, expected to be released in 2020. The Reserve Bank of Australia has issued a video detailing the design of the $20 banknote on its YouTube channel, watch below: https://www.youtube.com/watch?v=KBIAaCsHgvg&feature=youtu.be Read the Reserve Bank of Australia $20 banknote press release. The Bank of Guyana will soon be issuing an upgraded $1,000 banknote with new security thread features including RAPID®. A press release from the Guyana central bank has confirmed that the upgraded $1,000 banknote will no longer have the holographic stripe displayed on the front of the banknote, but will instead feature Crane Currency's RAPID® micro-optic security thread. The 6mm RAPID® thread will be blue coloured and display eye-catching movements visible when the banknote is tilted. In addition, the colour-shifting security thread which was originally shown on the reverse of the banknote will no longer be present. Instead, a second thread will be embedded in the banknote, only visible when the note is viewed when held against a light source. The central bank will issue the upgraded banknote from 04 March 2019. No imagery of the upgraded banknote is available at the time of writing. Read the press release from the Bank of Guyana. 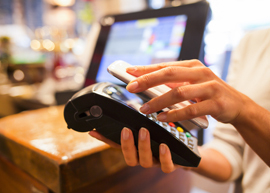 First Trust Bank, one of Northern Ireland's four note issuing authorities, has announced that it will cease issuing its own banknotes due to the increasing use of digital payments. “First Trust Bank’s banknotes account for 11% of notes in circulation in Northern Ireland and 0.4% of notes in circulation across the UK (as of 31.12.18). 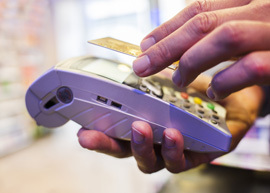 For most people this decision means they should begin receiving Bank of England banknotes instead of First Trust Bank banknotes from our ATM network.” "First Trust Bank remains fully committed to Northern Ireland and supporting our customers by offering digitally-enabled personal products and services, business banking with a local market presence and a mortgage proposition to intermediary and direct markets. 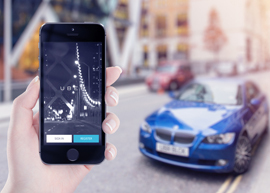 Over the last year we have invested £10m in transforming our business and we continue to invest in our products and services, including ongoing digital investment."